Liberal is 3-1 after a 63-53 win over the class 5A Hereford Herd Saturday evening in the Big House. This was the final game this season of the Conestoga/Community Bank Classic. LHS led 18-9 after one quarter and led 27-15 at halftime. The Redskins led 48-33 after three quarters. LHS led by as many at 18 (59-41) on the way to the win. Cole Evans scored a career high 15 while Kylan Thomas also added 15. Cade Hinkle and Markalyn Eatmon scored 10 a piece. The Redskins are 3-1 and Hereford is 5-4. 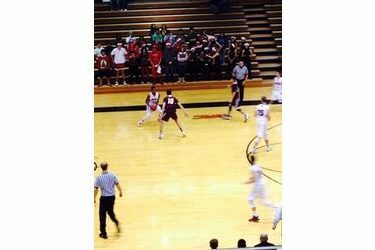 LHS plays at Perryton Friday night at about 6:45 on 1270 and kscbnews.net.